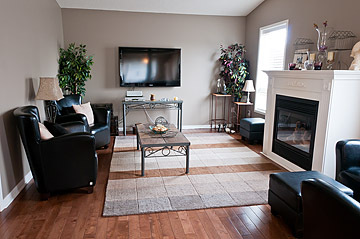 This 3+1 bedroom, 4 bathroom home for sale in Newcastle is on a quite, family friendly street. Located at 167 Brookhouse Dr, in the Village of Newcastle, this home is listed for sale for $389,700. 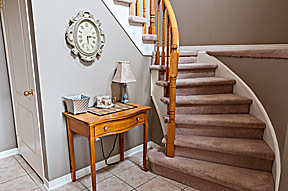 A covered front porch leads you into bright 2 storey foyer. 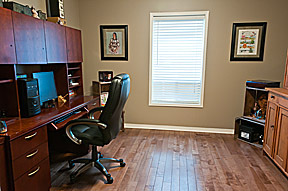 The formal dining room, currently being used as a main floor office is highlighted by hardwood floor and a large window. 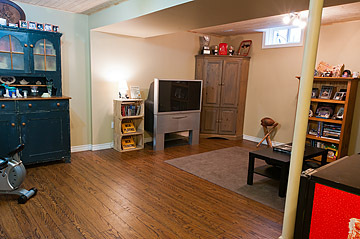 The west facing great room boasts a vaulted ceiling, hardwood floor and a gas fireplace. 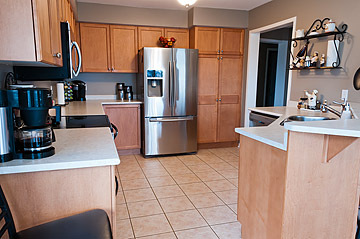 The large eat-in kitchen offers ceramic floor, a breakfast bar, pantry and stainless steel appliances. 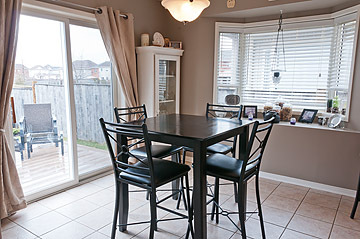 A sun filled eating area overlooks the great room and has a bay window and sliding glass walkout to a large deck and fully fenced yard with views of the neighbourhood park. 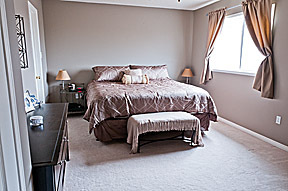 A spacious master bedroom offers a walk-in closet and a 4 piece ensuite bath with a separate shower and soaker tub. Every family needs a place where they can just hang out and be themselves. This rec room is a great place for the kids to entertain friends and it offers the 4th bedroom and an additional 3 piece bath. This home for sale in Newcastle is beautifully landscaped and offers a main floor laundry room with access to the heated 2 car garage and is a short walking distance to town and Newcastle Public School. 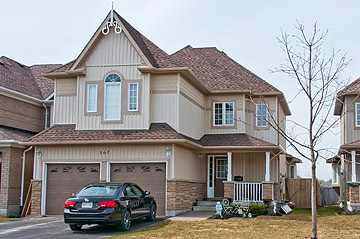 View more photos of 167 Brookhouse Dr and view the virtual tour. Contact me directly for a private viewing of 167 Brookhouse Dr.
Find more homes for sale in Newcastle.